A dim sim is a Chinese-inspired meat dumpling-style snack food popular in Australia. 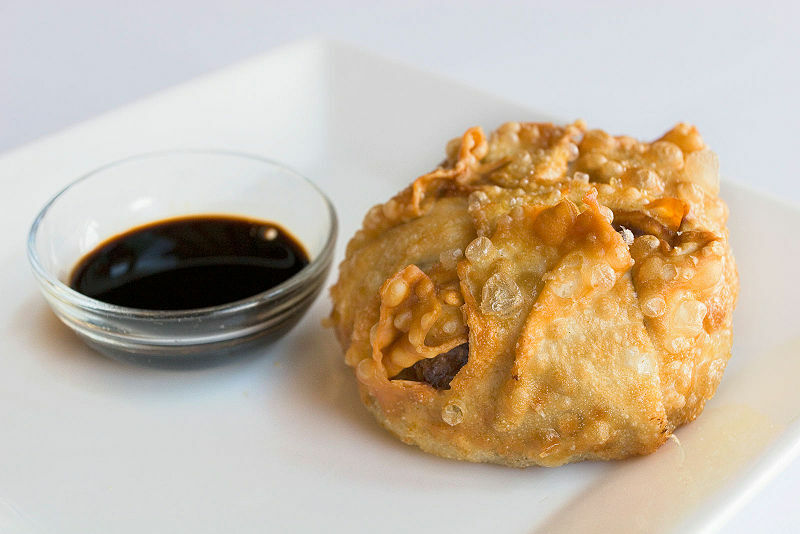 The dish normally consists of a large ball of pork or other meat, cabbage and flavourings, encased in a wrapper similar to that of a more traditional dumpling. They are usually deep-fried or steamed, but can be barbecued. Left: A steamed Dim sim. Dim sims differ from typical Chinese dumplings in that they are often much larger, have a thicker skin and are shaped more robustly. Dim sims were brought to Australia by Chinese chef William Wing Young for his restaurant "Wing Lee". According to Young's daughter, celebrity chef Elizabeth Chong, her father was the first to create the popular snack's style and shape in 1945, and to begin manufacturing them in commercial quantities. Dim Sims are typically served with soy sauce.The dim sim has become a part of Australian culture, and is considered by many locals as an Australian food. Left: Dim Sims are typically served with soy sauce. Chinese view dim sims as Westernised food, as the dim sim has very strong gingery taste to it that is uncommon in authentic Chinese food. Ginger is added as westerners associate it with Chinese food, whereas Chinese use ginger during cooking but do not eat it. Also, the deep fried version has a skin very unlike the skin of deep fried authentic Chinese food. Meat Dim Sim. This is the regular and most common variety. It may be served steamed or deep fried and is usually slightly cheaper than other varieties. The filling is mostly a mixture of ground pork and lamb/mutton. 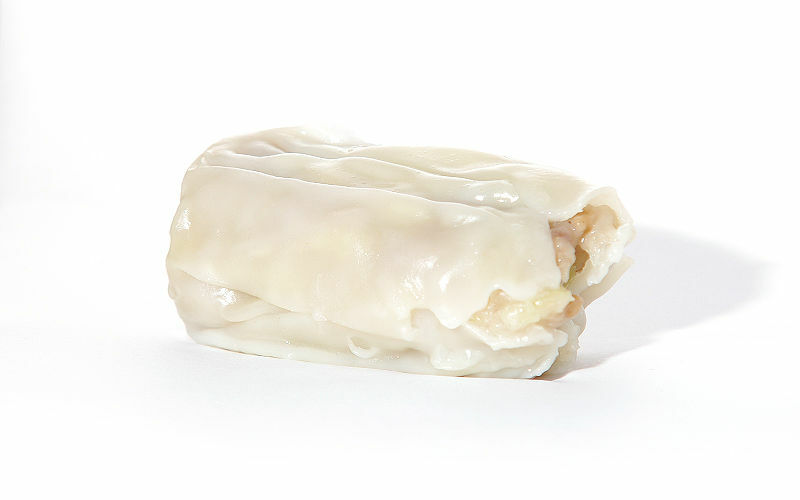 When folded correctly, one end of the meat dim sim is left slightly open and the overall appearance is a cylindrical shape. Garlic Dim Sim. The garlic, or Hong Kong dim sim is the most strongly flavoured dim sim. It is much rounder in comparison to vegetable or meat dim sims and is fried to a distinctive dark golden brown colour. The overall size is similar, or perhaps slightly larger than the meat dim sim. Chicken Dim Sim. Larger than the meat dim sim, it contains chicken mince and cabbage and is folded to resemble more of a parcel shape. Vegetable Dim Sim. This is the largest dim sim available and is nearly twice the size of a meat dim sim, and in comparison is quite soft to touch, even after deep frying. It is mostly cabbage and carrot, but may include other ingredients such as noodles. Vegetable dim sims are unlikely to be served steamed.